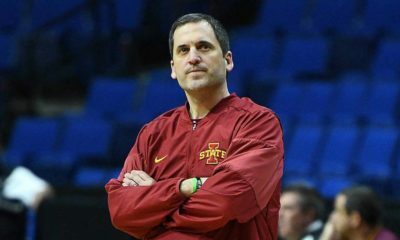 A war broke out in the middle of the Sprint Center in Kansas City during the final game of day three at the Big 12 Tournament. 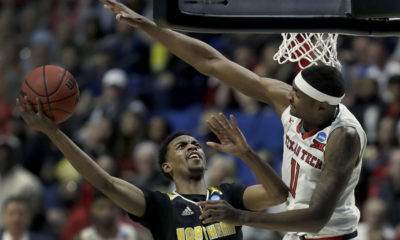 Texas Tech jumped out to an early 15-6 lead, and looked to be well on their way of validating the idea that they would have been Big 12 regular season champs if point guard Keenan Evans had not got banged up. West Virginia point guard and Big 12 Defensive Player of the Year Jevon Carter had other thoughts. The game became sloppy and physical–exactly how the Mountaineers needed it to be. After a 30 second timeout induced by Texas Tech’s fast start, Carter hit a layup, and then West Virginia immediately turned the tide. The margin did not grow further than two possessions for the rest of the game after the Mountaineers came back. It was a slugfest, with both coaches hounding the officials on questionable calls and non-calls during the entirety of the game until near the end. When Bob Huggins needed it most, he got the production out of his senior guards in the second half. Carter and Daxter Miles Jr. combined for 26 points in the second half, shooting a combined 6-of-12 from three. Texas Tech had no answers and could not get over the hump. Late in the second half, West Virginia pushed their lead to eight at 56-48 with 6:07 left in the game–the first time the score went beyond two possessions since the Red Raider’s 15-6 lead. Texas Tech then answered that with a 9-0 run to take a one-point lead, and the game went down to the wire. West Virginia won it at the free throw line late after made jumpers from Carter and Sagaba Konate, but had to hold their breathe after a Niam Stevenson heave at the buzzer to enjoy their 66-63 win. Daxter Miles Jr. was the leading scorer in the game with 22 points on 6-of-13 shooting, including 5-of-9 shooting from deep. Jevon Carter was a menace on defense, holding Keenan Evans to 5-of-14 shooting and only 13 points. 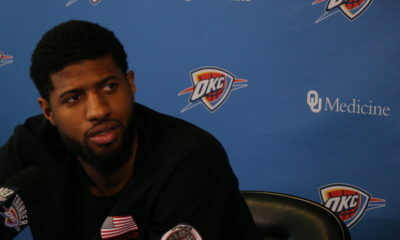 Carter added 17 points, four rebounds, and four assists. West Virginia will play Kansas for a Big 12 Tournament Championship tomorrow at 5:00 p.m..
Bill Self and the Kansas Jayhawks got a nice boost when Dean Wade was announced out for Kansas State. 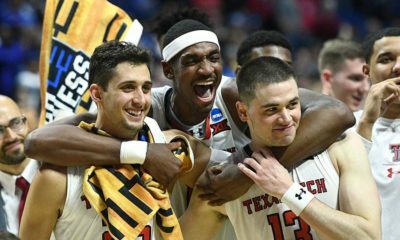 Wade, an All-Big 12 First Team selection, was then joined on the bench by junior point guard Barry Brown Jr. after he was poked in the eye by Kansas’ Devonte’ Graham on a drive just a minute into the game. 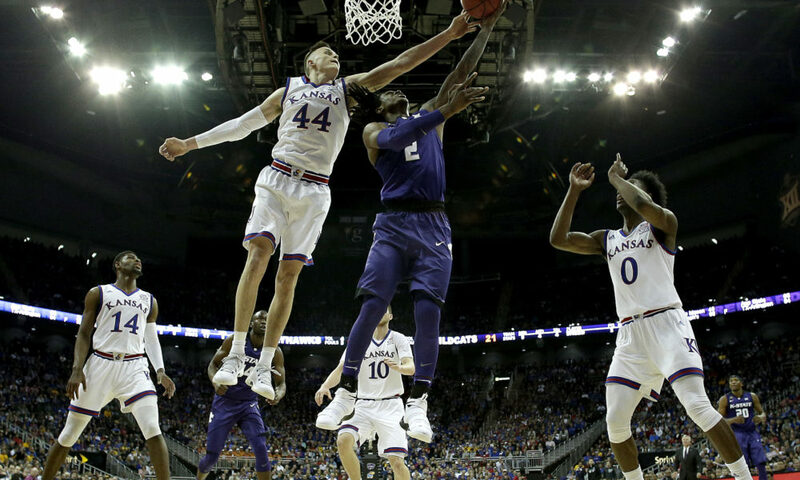 It was some adversity that Kansas State could eventually not recover from, as Kansas took down their in-state rival 83-67 to advance to the Big 12 Tournament championship game. The game was physical, with only seven fouls called in the first 15 minutes, and the first free throws of the game coming at the same time. Without Brown, the Wildcats struggled to get any offense going. Kansas’ grew their lead to 11 at 28-16, and then took their foot off the gas and allowed Kansas State back in the game. Kansas State scratched and clawed all the way back to within a possession behind Makol Mawien’s career performance (29 points, 13-of-19 shooting). They gathered the rebound with a chance to tie the game with 10:01 to go in the game, and then Marcus Garrett of Kansas stole the ball in the backcourt and hit a layup. Like yesterday, a Devonte’ Graham alley-oop took the air out of the opponent, but this time it was to Lagerald Vick with 5:06 remaining … and Kansas did not look back. Malik Newman was the leading scorer for the Jayhawks once again, scoring 22 points on 8-of-14 shooting, including 5-of-8 shooting from behind the 3-point line. Kansas will face the winner of Texas Tech and West Virginia at 5:00 tomorrow.